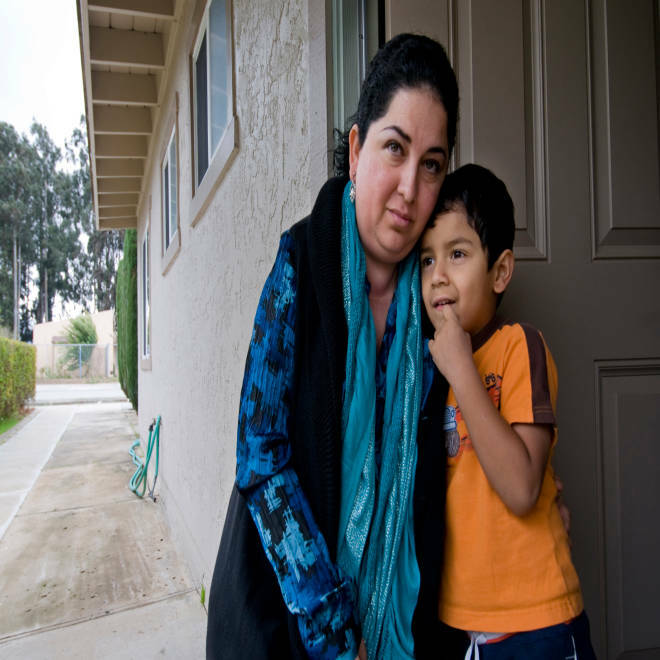 "People were dying, and we didn't know who was going to be next," Sonia Lopez, shown with and her son, Leonardo, said of the health problems that she saw in the years after the family moved into the San Jerardo Cooperative in Salinas, Calif.
Nitrate contamination in groundwater from fertilizer and animal manure is severe and getting worse for hundreds of thousands of residents in California’s Central Valley farming communities, according to a study released Tuesday by researchers at the University of California, Davis. Nearly 10 percent of the 2.6 million people living in the Tulare Lake Basin and Salinas Valley might be drinking nitrate-contaminated water, researchers found. And if nothing is done to stem the problem, the report warns, nearly 80 percent of residents could be at risk of health and financial problems by 2050. High nitrate levels in drinking water have been linked to thyroid cancer, skin rashes, hair loss, birth defects and “blue baby syndrome,” a potentially fatal blood disorder in infants. The report is the most comprehensive assessment so far of nitrate contamination in California’s agricultural areas. 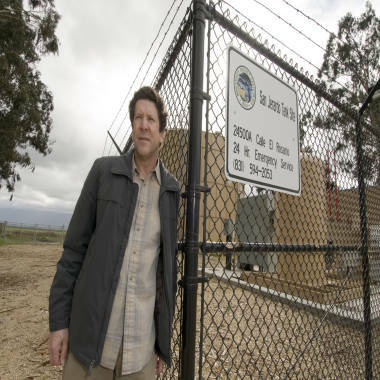 The problem is much, much, much worse than we thought,” said Angela Schroeter, agricultural regulatory program manager for the Central Coast Regional Water Quality Control Board, a state water agency. Nitrate-contaminated water is a well-documented fact in many of California’s farming communities. The agricultural industry, however, has maintained that it is not solely responsible because nitrates come from many sources. But, according to the UC Davis report, 96 percent of nitrate contamination comes from agriculture and only 4 percent can be traced to water treatment plants, septic systems, food processing, landscaping and other sources. While the report focused on California, nitrates in groundwater is a problem that plagues farming communities around the U.S. 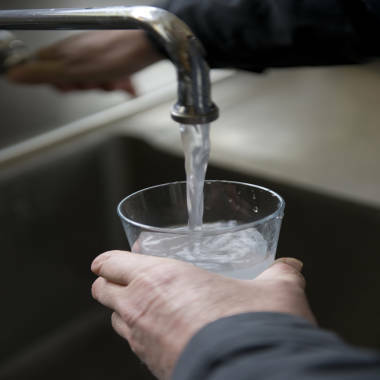 In addition to health risks, tainted water will exact a growing financial toll, the report said. The researchers project that utilities and citizens in the two regions will pay $20 million to $36 million per year for water treatment and alternative supplies for the next 20 years or more. According to the study, more than 1.3 million people in the two areas currently face increased costs as residents seek alternative sources of water and providers pass on the costs of treatment to ratepayers. The five counties in the study area – among the top 10 agricultural producing counties in the United States – include about 40 percent of California’s irrigated cropland and more than half of its dairy herds, representing a $13.7 billion slice of the state’s economy. Water pours from a kitchen tap in a San Jerardo Cooperative home near Salinas, Calif. The Central Coast Regional Water Quality Control Board has produced several reports of its own that show “large-scale degradation” of drinking water aquifers due to nitrates from fertilizer. “If we don’t address this, we’re going to have a very serious issue in California,” Schroeter said. Nitrates are odorless, tasteless compounds that form when nitrogen from ammonia and other sources mix with water. While nitrogen and nitrates occur naturally, the advent of synthetic fertilizer has coincided with a dramatic increase in nitrates in drinking water. Rural residents are at greater risk because they depend on private wells, which are often shallower and not monitored to the same degree as public water sources. Current contamination likely came from nitrates introduced into the soil decades ago. That means even if nitrates were dramatically reduced today, groundwater would still remain polluted for decades to come. According to the report, removing nitrates from large groundwater basins is extremely costly and not technically feasible. One relatively low-cost alternative is called “pump and fertilize:” Pulling nitrate-saturated water out of the ground and applying it to crops at the right time to ensure more complete nitrate uptake. Representatives of the California Farm Bureau Federation, the state’s largest agricultural association, would not comment on the report until it was released. But in a written statement, spokesman Dave Kranz said farmers and ranchers have worked on better nitrate management for years. The safety of groundwater, which is the largest source of drinking water, is managed through the state’s Clean Water Act. But each source of contamination is handled differently, says Schroeter of the Central Coast water board, and agriculture is more lightly regulated than other industries. For the 250 people living in San Jerardo, a farmworker cooperative southeast of Salinas, the threat posed by nitrates is all too familiar. San Jerardo residents live in refurbished old barracks that have been converted into tidy homes. Sonia Lopez moved into San Jerardo with her parents and five siblings in 1987. The four-bedroom, four-bathroom house was a big improvement over the two-bedroom apartment they once shared. “This was our American dream,” she said. But something went wrong about nine years ago. Her skin became red and itchy. Her eyes burned. Her hair started falling out. Her family had the same symptoms, and she learned other San Jerardo residents were afflicted, too. Horacio Amezquita stands beside the water supply for San Jerardo Cooperative in Salinas, Calif. The water is piped in from a clean well two miles away. While they did not find a cause for the cancers, Lopez and fellow resident Horacio Amezquita learned from health officials that nitrates in their well water had made their eyes red and their hair fall out. The community also learned that its water had been contaminated with nitrates since at least 1990; over the years, three wells had been drilled and eventually were found to be tainted. Drinking water regulations limit nitrates to less than 45 parts per million. One well measured 106 ppm, or more than double the limit. After repeatedly asking Monterey County officials to help, Lopez and Amezquita finally got a filtration system in 2006, and in 2010, the community connected to a new well two miles away that doesn’t need to be purified. The cost to Monterey County was about $5 million. San Jerardo residents used to pay about $25 a month for water; now, they pay as much as $130 a month. Lopez still worries about her health, and like the UC Davis researchers, she warns the nitrate problem will only get worse. UC Davis hydrologist Thomas Harter led the team of researchers from the Center for Watershed Sciences that prepared the report, which took 20 months to complete and involved 26 scientists. The report had been requested by the Legislature in 2008. Water-quality experts said the study provides a new and comprehensive look into the sources of the contamination, the chemicals in the water and the people affected. Laurel Firestone, co-executive director of Tulare County’s Community Water Center, a nonprofit that helps communities with poor drinking water, said not only does the study show that the nitrate problem isn’t limited to a few isolated rural communities, but it also places responsibility squarely on agriculture’s shoulders. Firestone hopes there will now be the political will to tackle the issue. The report lists a few potential solutions to help pay for the cleanup of contaminated water, including a fee on fertilizer sales and greater “mill fees” on the production of fertilizer. In California, farmers do not pay sales tax on fertilizer, while water districts and communities bear the cost of cleaning up tainted wells. Firestone said a fertilizer fee could be a powerful tool because there’s currently no disincentive to use fertilizer and few incentives to switch to safer agricultural practices. “I think it’s clear that to address this problem, we need agriculture to lead the way,” she said. Because of the might of the state’s agricultural industry, there has been little political will to tackle the nitrate problem. It will be up to the Legislature to decide how to respond to Harter’s report, but regulatory change might be coming as soon as this week. The Central Coast water board, one of several regional water agencies that enforce the state’s Clean Water Act, will hold a highly anticipated meeting on Wednesday to decide on new agricultural regulations aimed at reducing the release of nitrates, pesticides and other chemicals into aquifers, as well as creeks, rivers, lakes and the Pacific Ocean. Despite the report’s grim news, water policy expert Jennifer Clary said she believes change is coming. She is a program manager for Clean Water Action, a national environmental advocacy group. She said the Central Coast water board’s plan would be a first step toward regulating groundwater contamination. Harter, the UC Davis researcher, said the study’s long-term projections for nitrate contamination reveal “just how extensive and interconnected these impacts are.” While his report outlined a number of policy choices, he doesn’t recommend one particular course of action. This article was produced by the Food & Environment Reporting Network, an independent and nonprofit investigative news organization.